1. A green tea-infused memory foam mattress over 13k people swear by, as will you. Get it from Amazon for $259+ (available in eight sizes, 6", 8", 10" or 12" inch thickness). 2. An eco-friendly foam mattress for anyone who is a back sleeper, or prefers a firmer slumber. This was the first memory foam mattress I tried (12" full) years ago, and it's still going strong in a guest room. IMO it is v comfy for side-sleepers too. Get it from Amazon for $240.97+ (available in five sizes, 6", 8", 10" or 12" inch thickness). Try it with this simple bed frame from Amazon for $56+ (available in seven sizes). Read our full review of the bed frame here. 3. A spring mattress with a ventilated cooling foam top that just may help curb aches and pains. Get it from Amazon for $135.58+ (available in four sizes, 10" thickness). Pair it with this metal and wood platform frame from Amazon for $169.99+ (available in four sizes). 4. A foam mattress to conform to all sleepers, whether you're in need of firm or soft. Get it from Wayfair for $161.99+ (originally $299, available in four sizes). 5. A cloud-like foam mattress so you can enjoy a luxurious slumber without the high price tag. Get it from Amazon for $118.57+ (available in four sizes, 8", 10", and 12" thickness). Try it with this upholstered wooden platform frame from Amazon for $229+ (available in three sizes). 6. An innerspring mattress that doesn't need a box spring for anyone who wants a no-frills (but still comfortable) sleep. Promising review: "I did a lot of research before deciding to buy this mattress. I'm on a budget, but I wanted something nice and comfortable for my son's bedroom. I didn't want to spend hundreds of dollars investing in a mattress set with a box spring. Mission accomplished with this innerspring mattress! It's comfy, and gets the job done with my son's new platform bed. Not only does he have a great mattress, I've saved hundreds of dollars by not going the traditional mattress set route." –Songea S.
Get it from Overstock for $167.02 (full, 8" thickness). Pair it with this wooden platform frame from Amazon for $219.99 (full). 7. 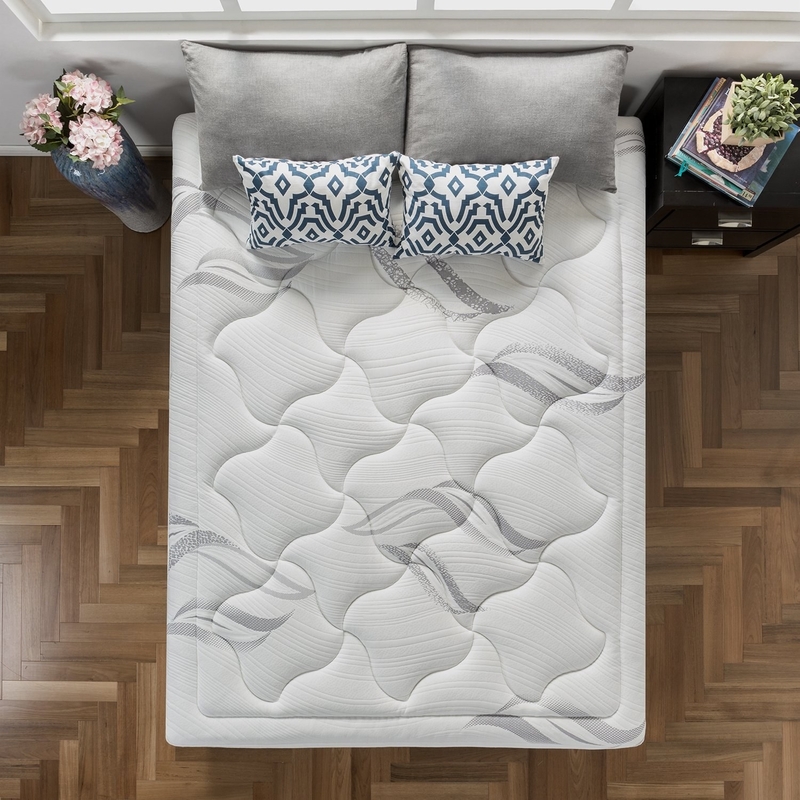 A plush mattress with independently encased coils and a pillow top you'll love. Just looking at this bed makes me sleepy. Get it from Amazon for $261+ (available in two sizes, 13" thickness). Try it with this white metal platform frame from Amazon for $64.99+ (available in four sizes). 8. A cool gel sofa bed replacement worthy of all the overnight guests to come. Throw out whatever spring-loaded trash came with your sofa, and slip this babe on there. Promising review: "This has been one of my best purchases. This has made our sleeper sofa a place one can actually sleep on. What a difference, it’s absolutely amazing! I’d recommend it to anyone looking to make their sofa a comfortable place to sleep." –Greg R.
Get it from Overstock for $173 (Full, 4.5" thickness). 9. A crib mattress so the most important person in the house can get plenty of rest. Baby gets more sleep = you get more sleep. 10. A spring bed with an amazing delivery service to end the hassle of getting a new mattress into the bedroom. Sounds like this bed is the perfect balance of soft/firm. Promising review: "After looking on Overstock, I picked this set and am greatly pleased! Just the right balance between firm and soft. Delivery company notified us in advance of delivery, including a call that they were in vicinity. They brought the set into the house, unwrapped everything and placed it on the bed. They took all wrappings with them, very professional! Would definitely recommend." –Kathleen S.
Get it from Overstock for $316 (Queen). 11. 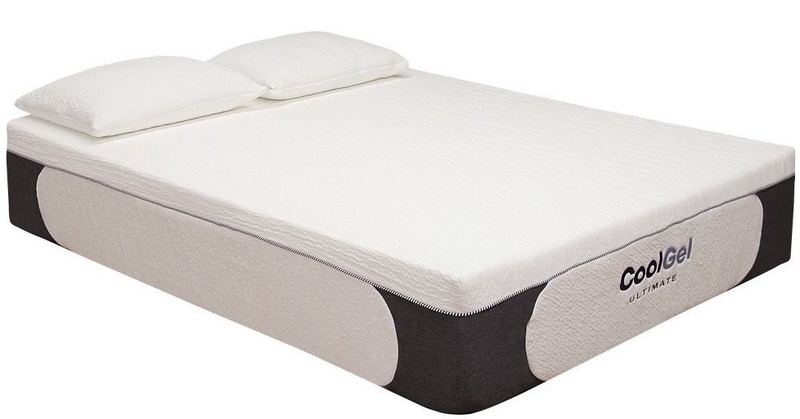 An 8-inch, firm memory foam bed you can get in a queen size for under $300. Get it from Overstock for $134.72 (queen). Pair it with this queen upholstered bed with storage for $386. Read our full review of the frame here. 12. 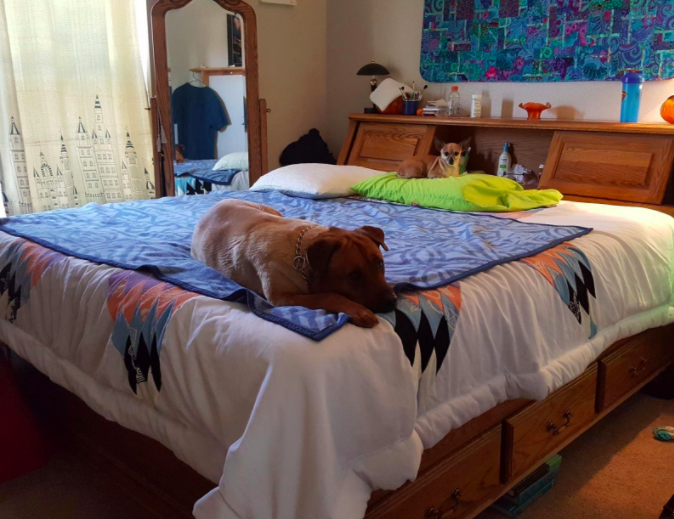 An extra thick cool gel bed available in Cali king size everyone in the family shall adore, including the pups. TFW the dog is the only living being that loves being in bed more than you do. Get the Cali king size from Amazon for $493.80 (available in six sizes, 14" thickness). Try it with this Cali king frame set from Amazon for $130.03 ( set includes frame, four brackets, and bed skirt). 13. A spring mattress that'll ship vacuum sealed, making getting the perfect mattress easier than ever. Get it from Walmart for $119+ (available in four sizes, 8" thickness). Pair it with this low-profile box spring from Amazon for $79+ (available in six sizes). 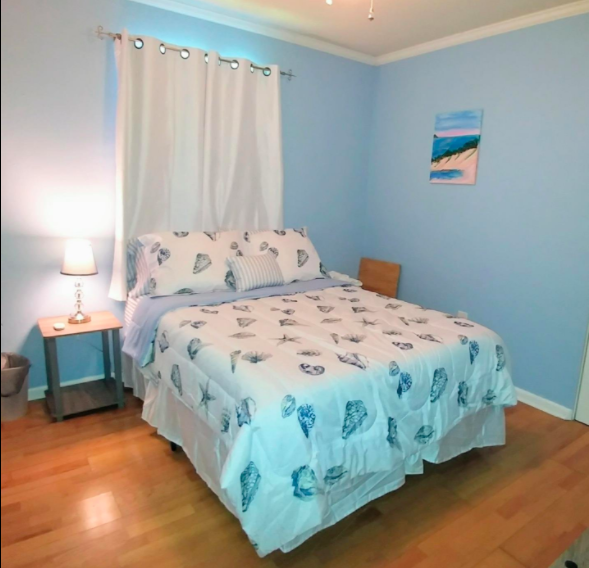 Box spring required for standard bed frames. 14. And a 13-inch spring mattress to withstand the biggest test a mattress must face, the test of time. Get it from Amazon for $168.03+ (available in six sizes, 8", 10", 12", or 13" thickness). Try it with this bi-fold box spring for $79+ (available in four sizes). Box spring not required. 15. 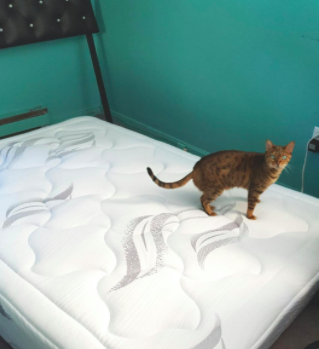 A foam mattress that might convert skeptics over to the foam forever life. Quiet + supportive = dream mattress. Get it from Walmart for $139+ (available in two sizes, 8" mattress). 16. A well-ventilated foam mattress with features worthy of fawning over – like a zipper washable cover, and brown suede on the corners. Get it from Amazon for $229+ (available in nine sizes). Pair it with this platform frame with an upholstered headboard and wooden slat support from Amazon for $111+ (available in four sizes). TFW your friends try to get you out of your brand new mattress.